Mukesh Bharvad also alleged that the Deputy CM has anti-migrant mindset and said that the latter was openly supporting an agitation of people who were opposing medical admission to non-Gujarati students in the state. Vice-President of OBC-SC-ST Ekta Manch (OSS Ekta Manch) Mukesh Bharvad on Wednesday alleged that the attacks on north Indian migrants in Gujarat are part of a conspiracy hatched by Deputy Chief Minister Nitin Patel to “dethrone” Chief Minister Vijay Rupani and become the chief minister himself. OSS Ekta Manch is led by Congress MLA Alpesh Thakor who is under fire for his alleged role behind the attacks on migrants. “Differences between Chief Minister Vijay Rupani and Deputy Chief Minister Nitin Patel are well known in Gujarat and in India. It is our clear allegation that Nitinbhai wants to spread the venom of regionalism and dethrone the (current) CM to become the chief minister himself. 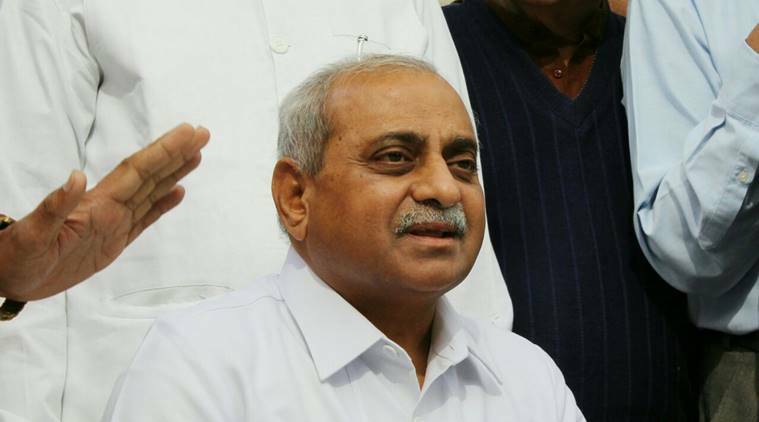 And for doing so, he (Nitin Patel) is spreading canards against Thakor community,” said Bharvad during a press meet in Ahmedabad. He also alleged that the Deputy CM has anti-migrant mindset and said that the latter was openly supporting an agitation of people who were opposing medical admission to non-Gujarati students in the state. Bharvad also released pictures of Patel reportedly being felicitated by the group that held the agitation. State Education Minister Bhupendrasinh Chudasama refuted the allegations. “I am strongly condemning and rejecting the allegations levelled against Deputy CM Nitinbhai Patel by the vice president of OSS Ekta Manch Mukesh Bharvad. In reality, divide and rule has been the policy of Congress and not the BJP… Nitinbhai is a leader who takes people of all communities along. And who has been inciting the violence and since when? I want to ask Alpeshbhai (Thakor), whose names have come up (for attacks on migrants) during police investigation? Names of Congress leaders and workers,” said Chudasama.